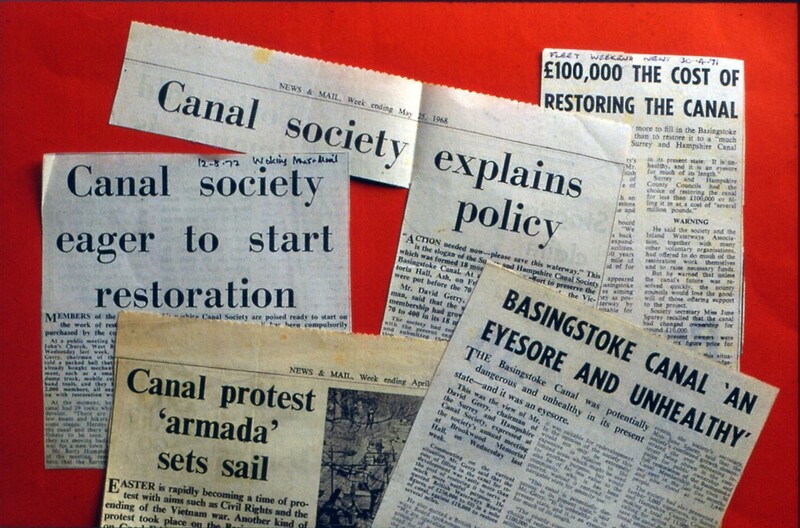 Unable to negotiate with the owner, Mr SE Cooke, who had his own plans for abandonment of the navigation, the Surrey and Hampshire Canal Society, formed in 1966, embarked on a 7-year campaign for public ownership and a policy of restoration. A successful outcome was signalled late in 1973 when Hampshire County Council acquired their 15-mile length, giving the go-ahead for the first official working party. Surrey County Council bought the Surrey length for £40,000 in March 1976. 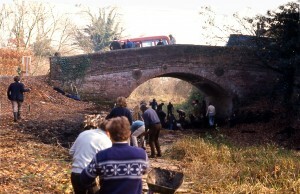 Over the next 17 years the two county councils funded a programme of restoration actively supported by the Surrey and Hampshire Canal Society, the Inland Waterways Association and other canal restoration groups who organised voluntary working parties along the 32 miles of the waterway. 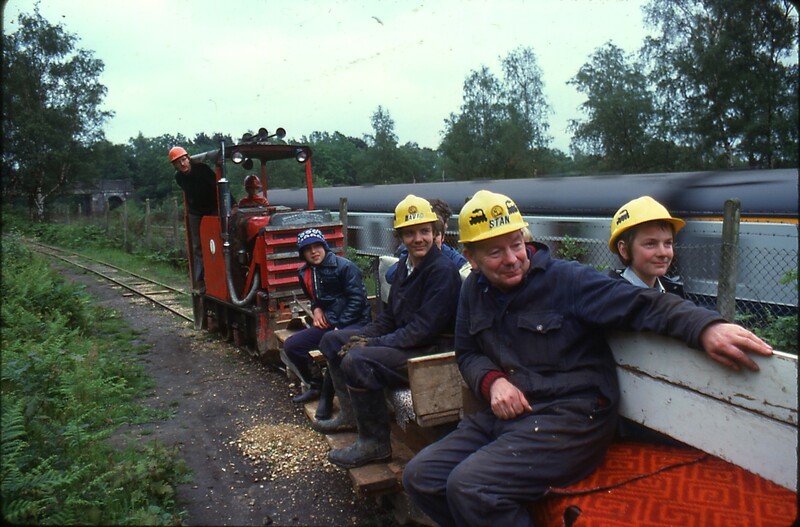 The period generated a number of innovative practices, such as the operation of the steam powered dredger Perseverance in Hampshire, manned by volunteers, narrow gauge railway lines supplying work sites, summer voluntary work camps and youth employment training schemes. 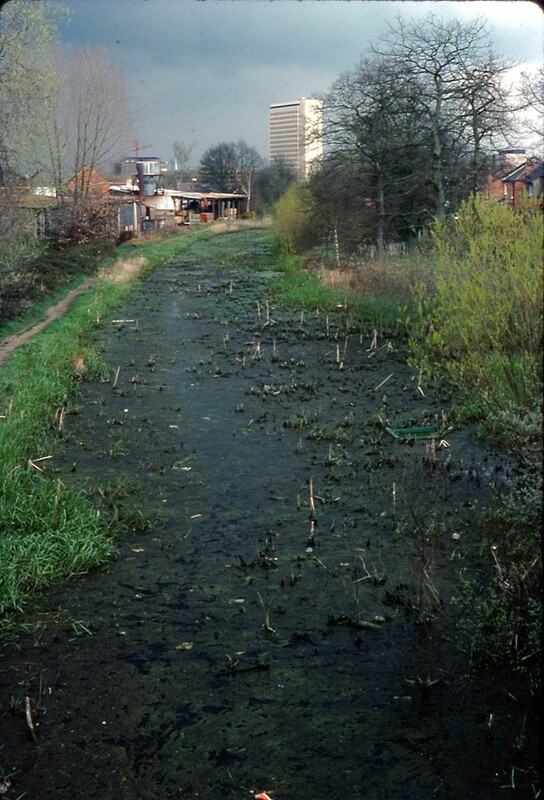 The protracted project was completed in 1990 and the canal was formally re-opened on 10th May 1991 by HRH the Duke of Kent at Frimley Lodge Park, followed by a weekend of civic celebrations along the entire length of the canal. The Canal had not been maintained for navigation by the previous owner, and as a result it had declined into a parlous state. Some parts of the Canal were still in water, but not navigable, though there were stretches in Hampshire on which small boats could be used. In other places there were just pools of water amongst the reeds. In many other stretches the channel was completely dry and overgrown. Bridges had also slipped into disrepair and some into long disuse. The (original) bridges at Broad Oak and Cowshot Manor (near Lock 17) were deemed “eyesores”. However, by far the most serious problem were the locks. 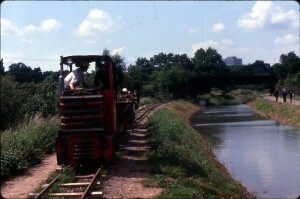 By the mid 1960s all 29 on the canal had ceased to work. The gates were rotting, the brickwork was deteriorating and the chambers were knee deep in mud, vegetation and rubbish. Some had almost completely disappeared in the undergrowth. The Deepcut flight of 14 locks presented the most daunting engineering difficulty, and this would be the first major undertaking of the Canal Society after initial clearance or ‘jungle bashing’. The first official working party in 1973 transformed the towpath from Barley Mow Bridge, Winchfield through to Broad Oak Bridge in just two weekends ; trees were trimmed back, and undergrowth cleared and burned. At the same time the bridge hole at Barley Mow was cleared of bricks and rubble down to the original 1792 depth, by shovel and wheelbarrow. The towpath could now be walked easily from Greywell to the Barley Mow bridge. Once the towpath was cleared and made passable along the Surrey section, it was possible to begin to inspect the locks and assess their condition. 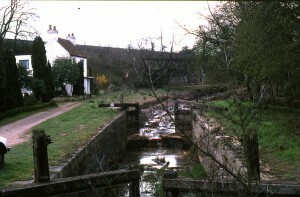 Ash Lock, the only lock in Hampshire, was restored in 1974 by Hampshire County Council canal rangers and fitted with lock gates built by volunteers. 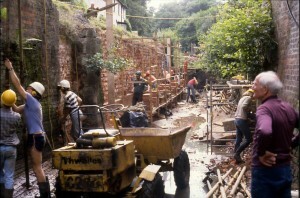 Work on the flight of 14 locks at Deepcut started in 1975 and took 10 years to complete. They were restored by volunteers and teams of unemployed school leavers recruited under Manpower Services Commission (MSC) training schemes. 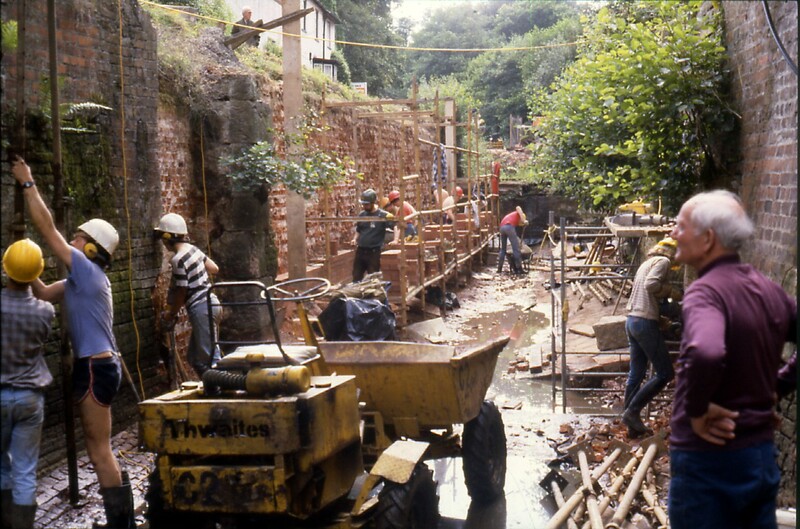 Most of the 72ft by 14ft chambers underwent major renovation work involving the demolition and subseqent rebuilding of lock walls, replacement of top and bottom cills, wing walls, new quoins, ground paddle culverts and the construction of by-pass weirs which previously did not exist. Surrey County Council supplied the materials and plant for both MSC workers and voluntary working parties. The Canal Society was granted more than £75,000 over a period of seven years from 1977. 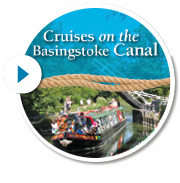 In addition to Canal Society members, a number of visiting groups contributed on a regular basis. One weekend in October 1977, ‘Deepcut Dig’ was held which attracted 600 volunteers from all parts of the country. 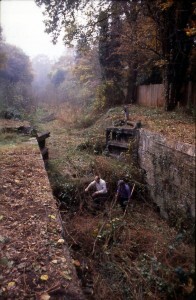 MSC teams and Community Programme workers, and subsequently the Canal Society’s own 4-man full time team, all led by Frank Jones, restored the three locks at Brookwood. 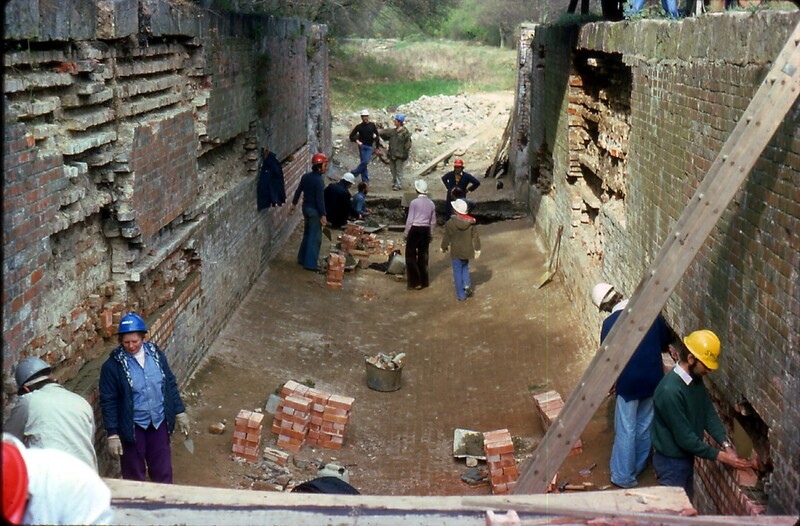 The five locks at St John’s and the six at Woodham were restored entirely by voluntary workers organised by Canal Society working party leaders. A major input was made by four annual summer work camps which engaged 50 or more volunteers. 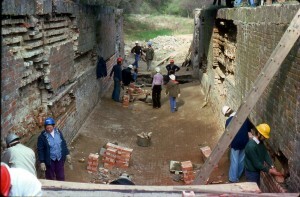 Lock 1 was restored by volunteer members of the Guildford and Reading branch of the IWA (Inland Waterways Association). 110 new gates, including a pair for the adjacent dry dock, were built by MSC workers and volunteers under the direction of Frank Jones in the Deepcut workshop which had been converted from a disused army open-air swimming pool. Oak to build the frames came from Surrey CC’s sawmills near Dorking. The Canal Society’s full time team carried out the installation of the new gates. Most locks had a footbridge put in by the lower gates and by-pass channels (which were not part of the original structures) built to take excess water around the locks. Clearing the water channel of thousands of tons of accumulated silt, several feet deep, was a major undertaking. 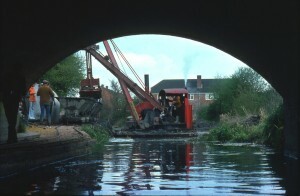 In Surrey, where access to the canal by road was easier, the County Council used mechanical excavators to dredge the channel. In Hampshire, however, access to the Canal through rural areas posed a more difficult problem. Hampshire County Council cleared the 6-mile length between Ash Lock and Pondtail Bridge, Fleet, using land-based excavators. 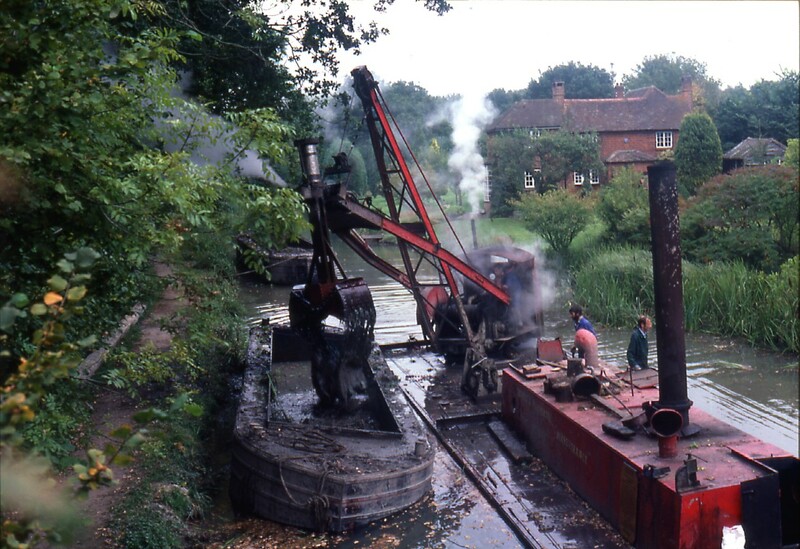 The Canal Society tackled the 15-mile and less accessible western end using a 70ft steam powered floating dredger aptly named Perseverence. 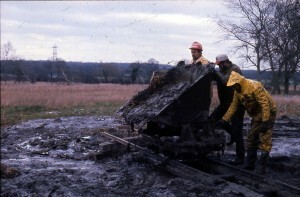 Work began at Odiham in Hampshire in 1975. Although an ideal method of dredging, there remained the problem of silt disposal. 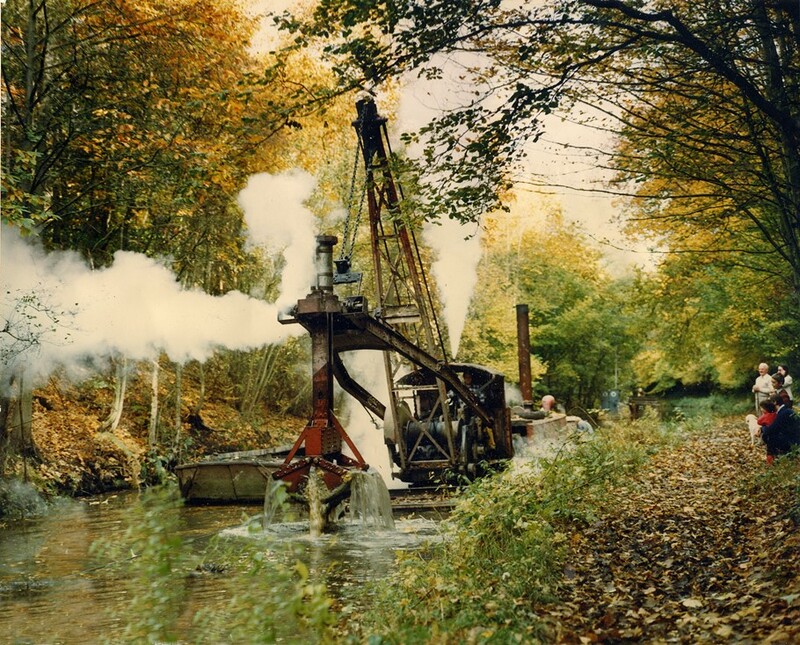 At first, dredgings were loaded into skips run along a towpath railway and emptied onto riparian fields, but this method was slow and laborious. Later, the silt was moved with mud barges and tugs and off-loaded by a bankside crane. There were many delays during the years of dredging, caused by maintenace stoppages, unexpected breakdowns, annual boiler inspections etc. The most protracted delay occurred at Dogmersfield because (reminiscent of the recent recurrence) a landslip caused work to be stopped for over a year while the slip was cleared and a gabion retaining wall built. 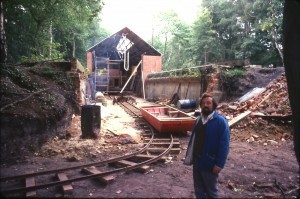 Eventually the dredger passed by the site in April 1983. In September 1985 the crew celebrated the dredger’s 50th anniversary. The event proved so successful that another “open day” was held in October 1986 when the dredger reached Poulters Bridge. Perseverance finally reached Fleet in March 1990. The stripped down hull just managing to clear Reading Road Bridge (the lowest bridge on the canal) with less than an inch to spare. 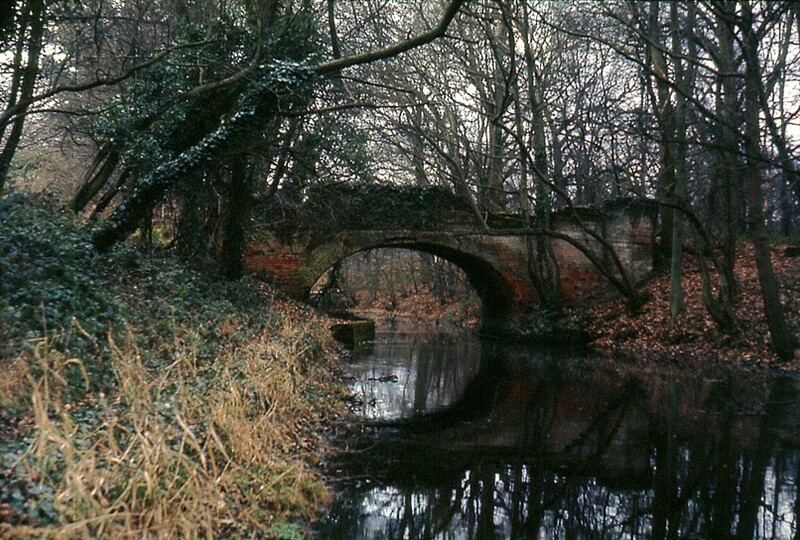 In March 1993 Perseverance reached Pondtail Bridge, east of Fleet, and in October of that year, its work on the canal finished, having served the Society for 18 years. Vehicular access to any waterway is both a practical and financial problem. This was evident when volunteers started dredging at Colt Hill in 1975. Heavy lorries could neither reach the canal-side nor could the Canal Society contemplate the cost of removing silt by road. The solution, conceived by Stan Meller and John Peart, was to lay a narrow gauge railway along the towpath at Swan Bridge for skips to be manhandled alongside the dredger, filled with silt, and tipped on an adjacent site. As the dredger progressed westwards the railway line was extended, sidings added and a 1939 Hudson Hunslet 22hp diesel locomotive was introduced to relieve aching backs. Now with 800ft of track, an 8-skip train could carry a load of 10 tons to the dump site. When barges, tugs and a dragline crane were introduced, the railway became redundant and was moved to Deepcut to carry construction materials to the equally inaccessible flight of 14 locks. 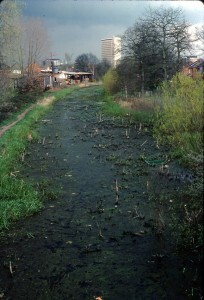 The track was laid from Lock 25 and ran for a continuous length of just over 1½ miles along the towpath between Locks 22 and 28 during the height of its operation. The railway carried some 7,000 tons of bricks, sand and other building materials. The railway was run principally by the Railway Group, a small collection of enthusiasts comprising the Pearts and the Mellers, the two Collins – Raeburn and Hamilton – and Geoff Helliwell. 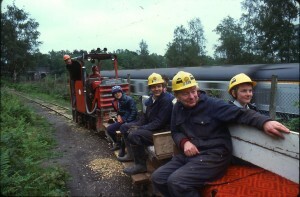 During 1977 and 1978 the Group manned the railway every Saturday and Sunday throughout the year. In 1980 the railway, line, stock and engine were transferred to Ash Embankment. It was laid almost the full length of the 1,000-yard long embankment and used to transport 14,000 tons of clay needed to re-puddle the water channel. The Hunslet locomotive was supplemented by two engines loaned to the Society – a 15hp Ruston-Hornsby, and a more powerful 30hp Motor Rail Simplex built in 1960. 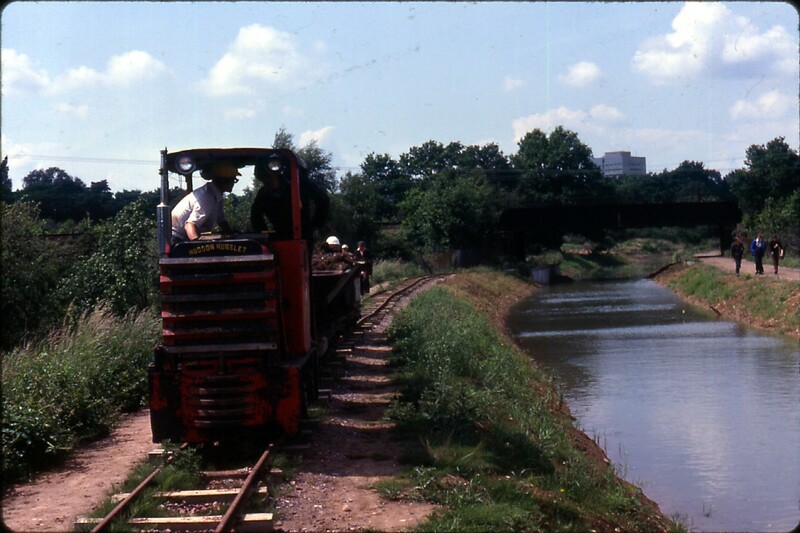 The Basingstoke Canal railway operation continued until 1982 after which it was no longer needed.